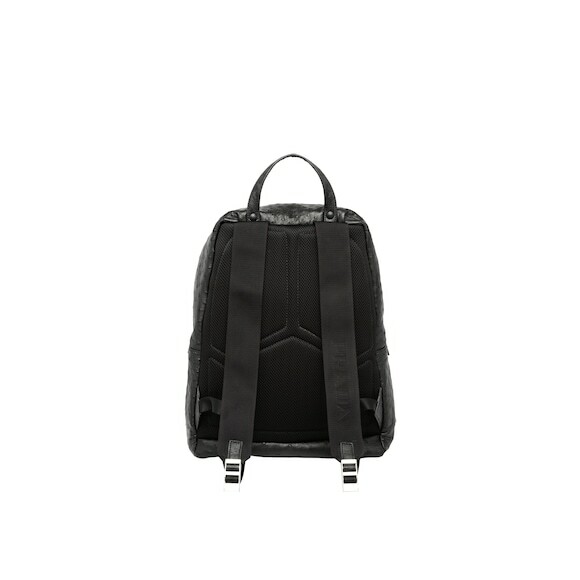 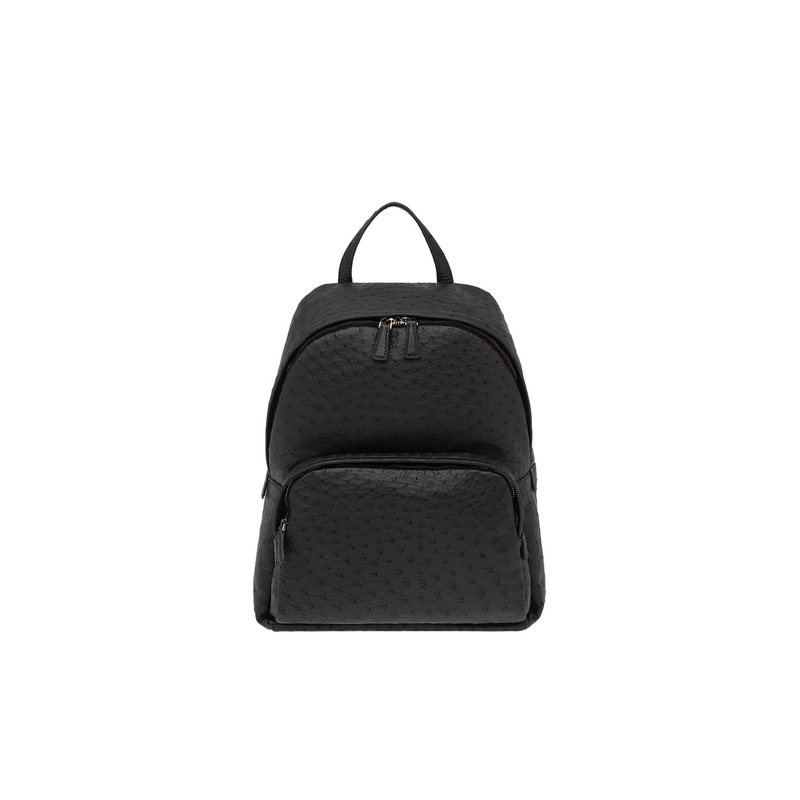 A backpack characterized by the distinct texture of the ostrich leather. 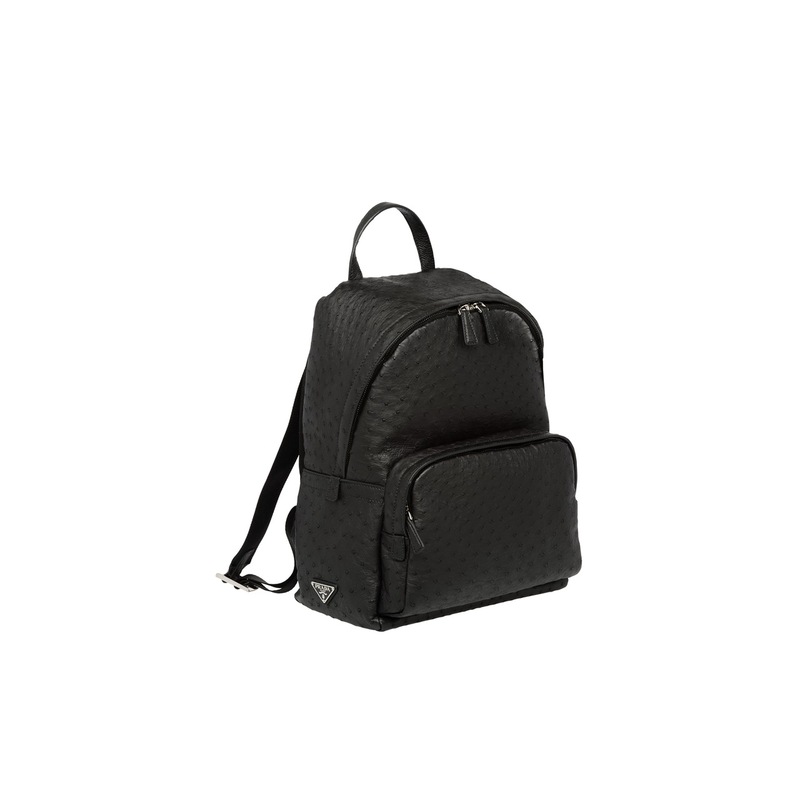 The main compartment contains a space for a laptop or documents and there is an additional pocket outside. 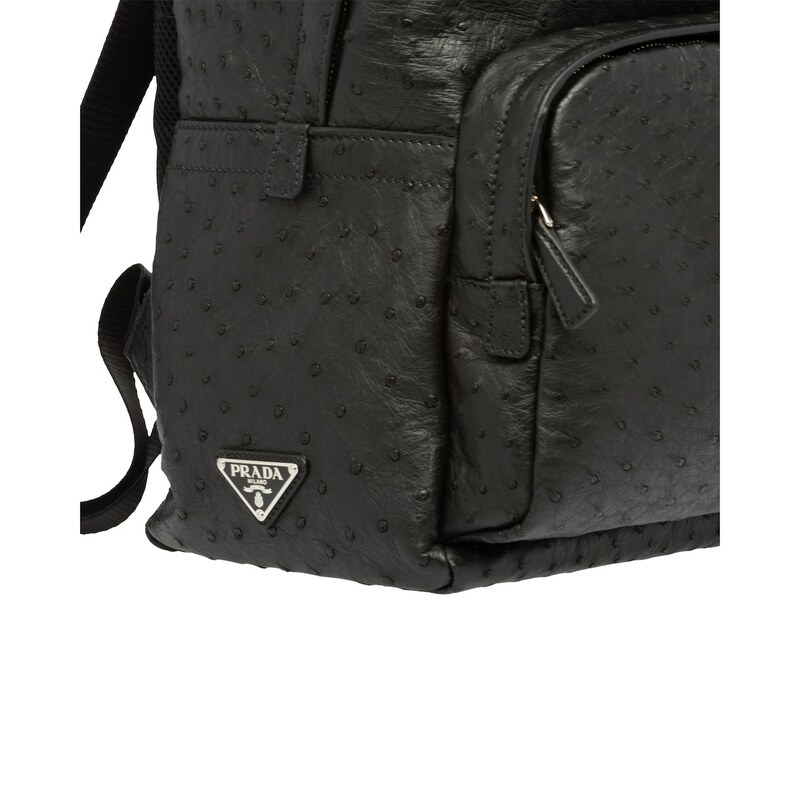 The Prada logo is affixed to the side.